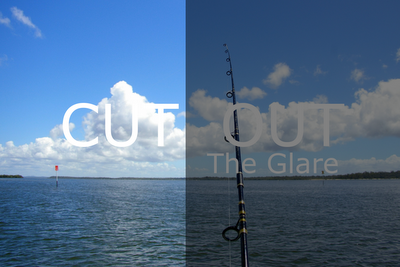 Do you know what type of sunglasses are the best for fishing? It doesn't matter if you're a weekend fisherman or or a pro, one of the most important things you can do to protect your eyes while fishing is wear a good pair of sunglasses ( the other it to wear a hat! 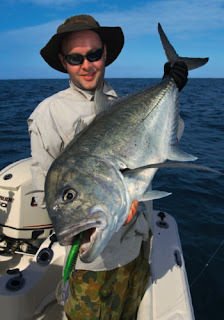 )- as well as improving your enjoyment of the day fishing, the right fishing sunglasses can even help you catch more fish! As well as protecting your eyes from the sun, a good pair of fishing sunglasses will also protect your eyes from flying hooks and wayward rod tips. 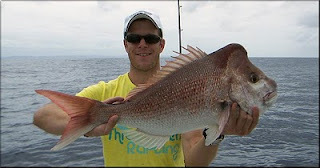 There is a huge price range in fishing polarised sunglasses, from $20 bucks at the local service station, to over $300 for the top end, you can spend as much or as little as you want. Of course, like all your fishing gear, you get what you pay for, but there are alot of good sunglasses for fishermen in the $50 to $200 range. Exposure to the ultraviolet rays of the sun while fishing Australian waters without sunglasses can and will damage your eyes. When reflected off the surface of the water, ultraviolet light is intensified and potentially more damaging to the eyes and visual system. Studies show that over time, exposure to these harmful rays of the sun can damage the eyes and cause fishers problems like macular degeneration and cataracts , small growths on your corneas called pterygiums, dry eyes and even sunburn to the cornea called solar keratitis. Australian fishermen that haven’t worn the proper sun protection are also more likely to develop skin cancers in and around the eye. The huge benefits of wearing the proper sunglasses while boating or fishing justifies spending a little money on a good pair of sunglasses. How Do I Choose The Best Pair Of Sunglasses For Fishing? Invest in your vision and purchase a pair of polarised sunglasses from areputable brand if you are boating or fishing in the Australian sun. A good name brand sunglasses will block the glare coming off the surface of the water and also provide 100% UV protection. Polarised lenses (or polarized lenses, if you are a yank) are crucial while on the water to block the surface reflection and prevent the glare from interfering with your vision. Polarised lenses enable you to see not only the fish in the water, but also any object that may be just under the surface of the water. The ultimate boating and fishing sunglasses should fit well, have a full field of vision, have good top, bottom and side protection, and should be polarised with a UV filter in the monomer or UV coating. To even further enhance ones vision while wearing sunglasses, a back surface anti-reflective coating will decrease the amount of light reflected to your eyes from the back of the lens. To test whether sunglass lenses are in fact polarised as claimed take two pairs of the same glasses and hold one in front of the other. Slowly tip one pair vertically while looking through both sets. 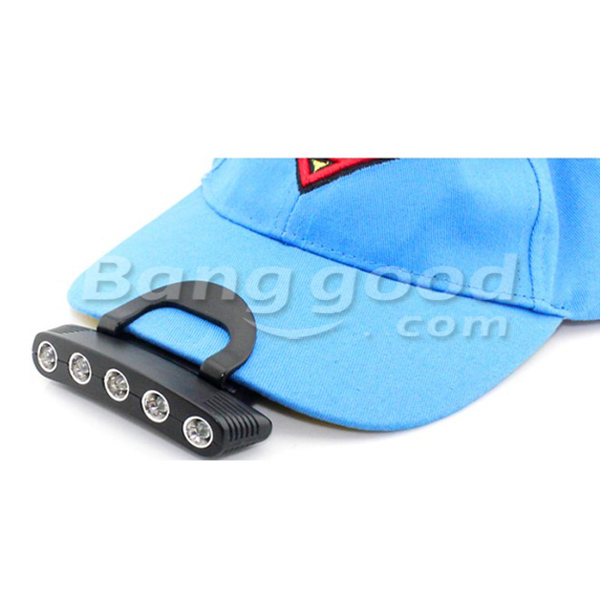 As you rotate the lenses they should work against each other to reduce the light transmission and by the time the front pair are 90 degrees to the back pair, everything should be black. That’s because light waves are now cut in all directions or planes. No light gets through. This simple test will quickly reveal non-polarised or poorly polarised glasses. If they fail this test, don’t buy them! Australian fishing sunglasses come with a lot of different colored lenses. 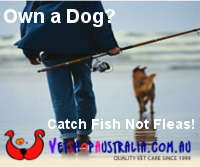 Many experts recommend a brown or copper lens for the majority of late evening, early morning and shallows fishing. A grey or smoke coloured sunglass lens is best for fishing in the middle of the day, afternoon or deep sea fishing. If it is very foggy, overcast or cloudy, fishing sunglasses should have a yellow, orange or amber tint. For those of us fishermen who need corrective lenses (glasses) just to see, prescription lenses are a real option and probably better than those clip on or slide over options. Most of the big brands now offer prescriptions in at least some of their polarised lenses and frame styles so talk to your optometrist. Also discuss bi-focal options with your optometrist if you need glasses for reading or close up work like tying knots. Prescription sunglasses for fishermen can be expensive so make sure you checkout your options first and don't forget to make sure you have an up-to-date prescription. 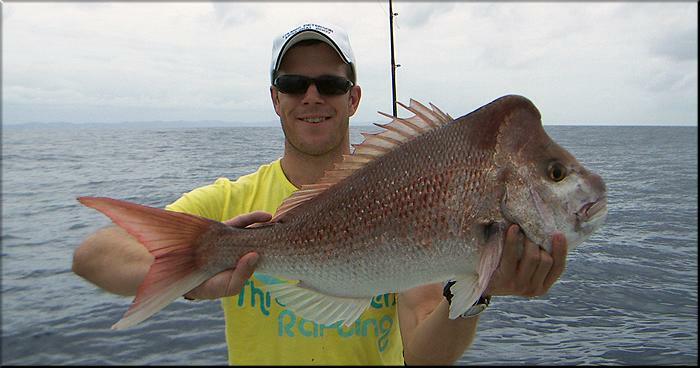 Next week - We look at the best fishing sunglasses forAustralia on the market right now!